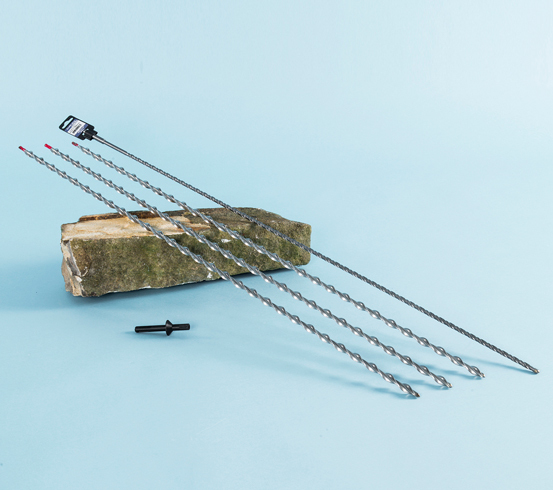 Twistfix are extremely excited to announce the launch of a new, drive-in Wall Anchor Kit including 910mm (3ft long) spiral wall ties for reconnecting and reinforcing deep masonry and brick walls without the use of cement resin or grout. The long-series spiral fixings are much longer and heavier versions of our best-selling Airtwist remedial wall ties; they have a diameter of 12mm and a cross sectional area of more than 28mm2; that's twice that or any other stainless steel helical wall tie. Also available to buy separately from the kit are packs of ties, which come in lengths of 610mm, 760mm and 910mm (24", 30" and 36"). 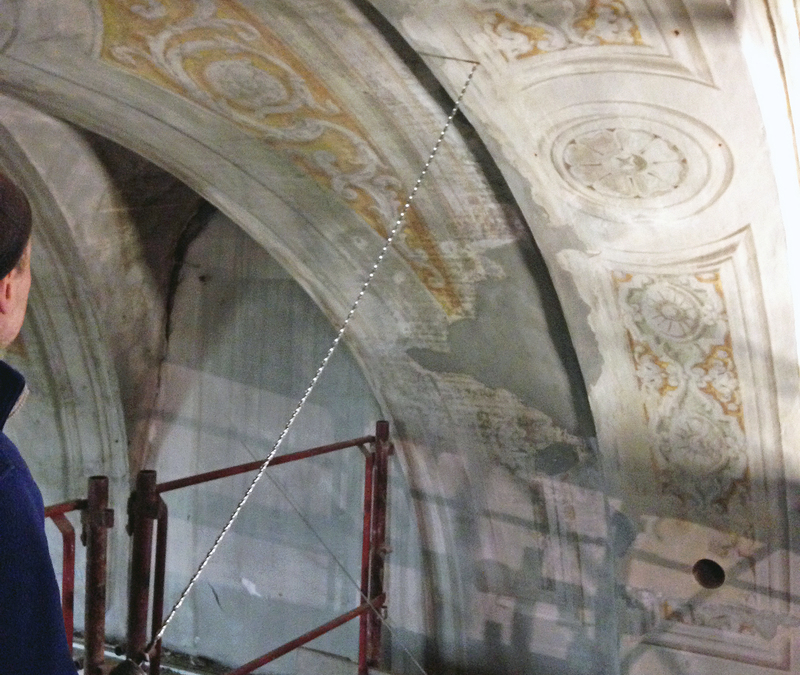 This heavy duty wall connector system has many advantages over its grout-bonded predecessors including versatility, compa­tibility, reliability, speed and cost effec­tiveness. As they do not require clearance holes or cement grouts the spiral fixings are not only quick to install but are ideal for use on listed buildings and historic monuments, overcoming material compatibility issues of anchoring into walls with systems that use modern cement or grout compounds.­ The fixings are fabricated from tough, long-lasting, marine-grade stainless steel, making them ideal for use in sea-wall applications and in structures adjacent to heavily salted roads. The new Twistfix 12mm Wall Anchor Kit is produced in the UK and protected by several patents. In addition to ten long-series wall anchor ties, the kit also contains a 1m long SDS masonry bit in a choice of 8mm or 10mm diameter, to suit soft or hard masonry, and a professional-standard SDS hammer-adaptor to enable the structural ties to be quickly, easily and securely hammered into place. The 12mm heavy duty spiral wall anchors have double the strength of any other helical wall tie on the market in terms of compressive, shear and tensile load capacity. Labour costs are dramatically reduced as the installation speed of the spiral fixings in the Wall Anchor Kit is more than 10 times faster than the installation of the Cem-Tie or Grout-Tie products. 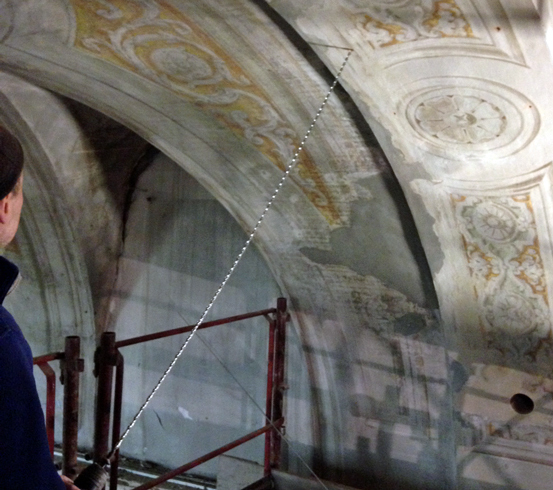 This video shows the wall anchor being installed to a historic listed building in Rome. The Twistfix YouTube channel, which contains more than 35 exclusive animations and videos offering clear details on getting the very best from Twistfix products, has been updated with the new 12mm wall anchor animation.